Missouri offers can’t-miss experiences for vacationers of all tastes. Discover world-class museums, exciting live shows, thrilling outdoor fun, and more memorable stops in the Show-Me State. Here, visitors experience warm Midwestern hospitality and abundant shopping, dining, lodging, and resort options. 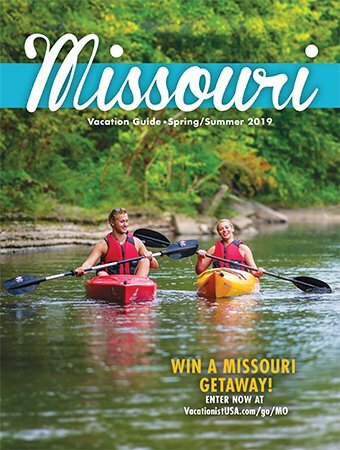 Enter to win one of three thrilling getaways in Missouri! 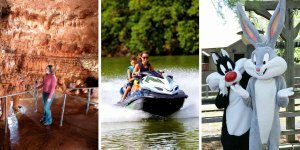 You could win a family-friendly trip to the Lake of the Ozarks with golf, dining, and a visit to Bridal Cave; an excursion underground to explore the magnificent Meramec Caverns as well as passes to the Jesse James Wax Museum and more; or a getaway to experience exhilarating rides at Six Flags St. Louis. Find more inspiration in the digital edition.